Thank you for stopping by my blog!! 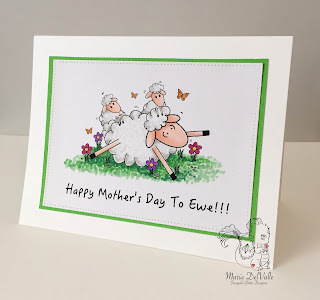 I have a super cutie card for you today!! Scrapper's Delights has a new release of adorable images!! Isn't he cute!! I hope you visit the Scrapper's Delights blog to see all the inspiration by the talented Design Team and also visit the stores to see all the wonderful images there! You can also join the Facebook Fan page to meet other crafty friends and share the inspiration! Today Sasayaki Glitter Satmps has a new challenge!! 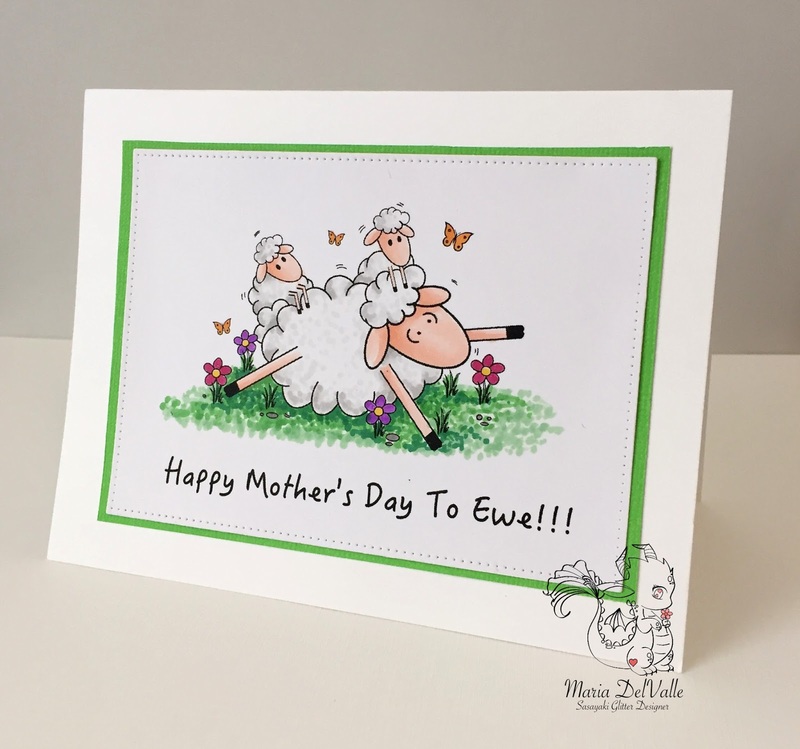 I chose this super cute image with Mother's Day approaching!! I thought it was adorable! I kept it CAS to keep the focus on the image! Too cute to miss!! That's it! Simple right? 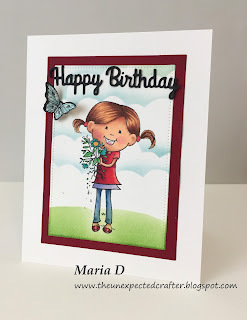 I hope you like my card and that you visit the Sasayaki Glitter Stamps challenge blog! Lots of inspiration and fun!! This card I created is for a special celebration event going on at SugarPea Designs!! They are celebrating their 3 year anniversary!! Woo-hoo! I couldn't resist to play along! So here is my creation!! I chose one of the first images I got from SugarPea Designs!! 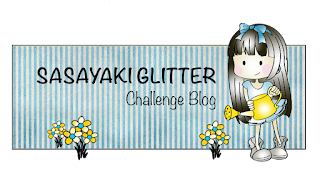 Today starts a new challenge at Sasayaki Glitter Stamps! The theme is YELLOW!!! I decided to use this super cute stamp!! Isn't he adorable!! And that lovely puppy in the corner!! Too cute!! Lots of supplies to make this card, right? It was worth it! 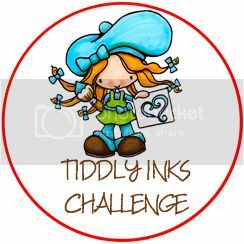 I hope you like it as much as I do and I hope to see you join this challenge!! Click on the banner below to join in!